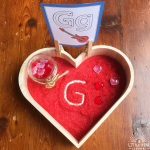 Are you looking for a meaningful gift that your child can create for someone special in his or her life? 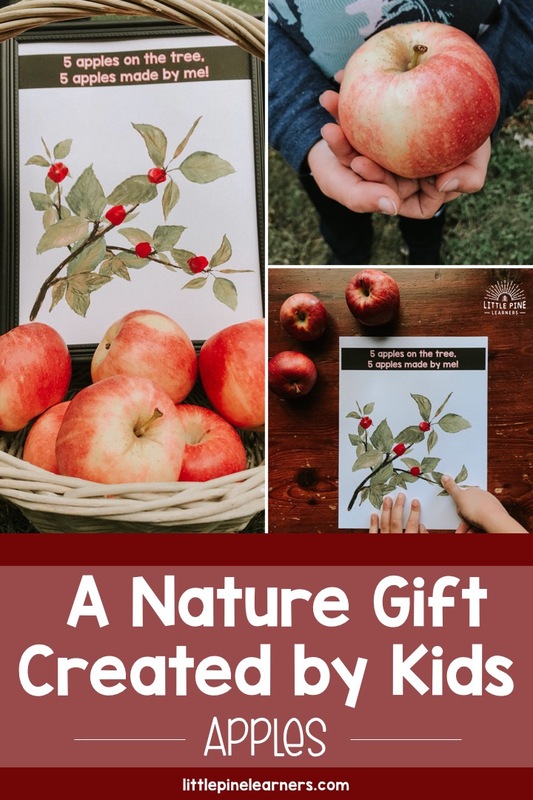 This simple and inexpensive gift combines an adorable personalized apple keepsake with real apples! Put them both in a basket you have yourself a gift that any adult would love and appreciate. Read on to see how you can customize it for the person you have in mind! Fall is the time of year that people naturally stop to think about how grateful they are for many different things in their lives. Being a mom of two young kids, I immediately think about my children’s grandparents and how they help us out so much throughout the year. I wanted my boys to make something for them to show our gratitude for their love, guidance, and support that they offer us! 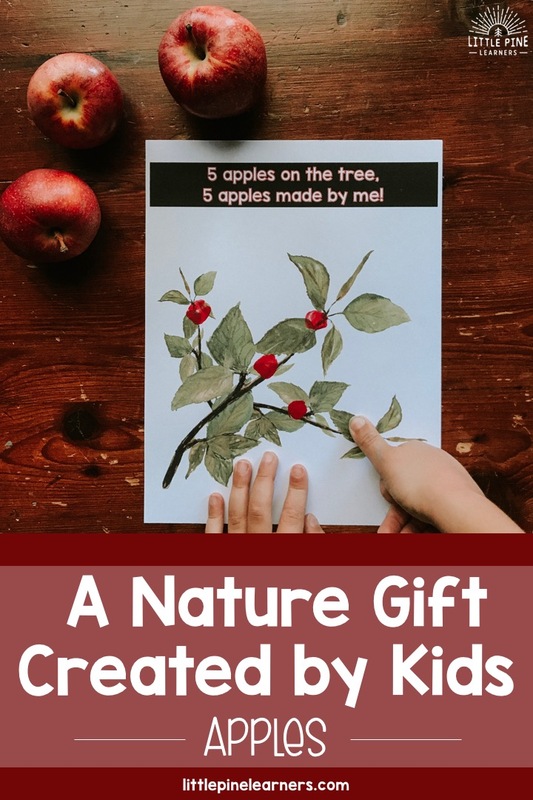 This sweet piece of apple home decor isn’t complete without the finishing touches from your child. 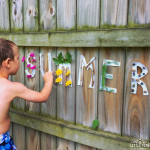 Paint your child’s thumb and stamp 5 apples on the apple tree branches. Add a document frame and you have an adorable piece of art that looks great hung on the wall! We got our frame from the Dollar Tree and it finished the piece off really nicely. There are so many ways to customize this gift for the person you have in mind. 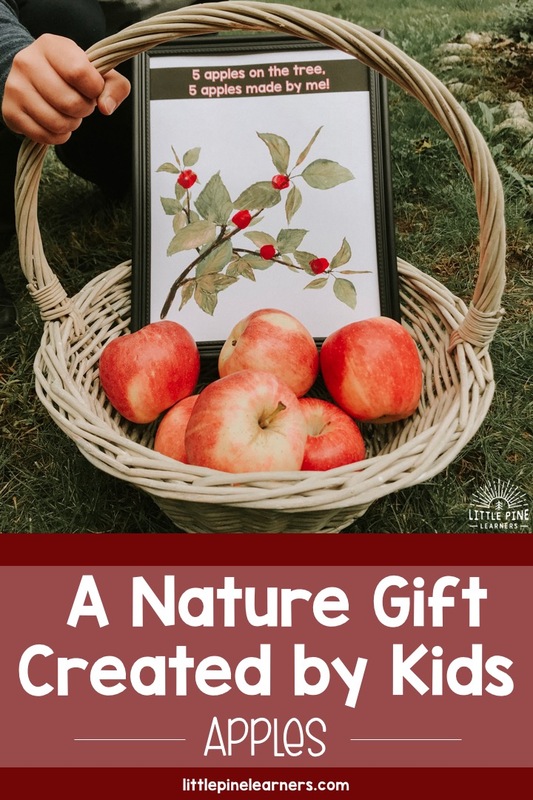 Or just keep it simple and add apples from the grocery store or picked by your child at the apple orchard (if it’s late summer or early fall). Would you add anything to the basket? If so, comment below! Need more gift ideas?! 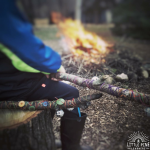 Check out Father’s Day Book and Stacking Stone Craft (this also comes in and uncle and grandpa version) and Mother’s Day Book and Sun Catcher Craft (this also comes in an aunt and grandma version).